Located in the heart of San Francisco off the 101 and 280 freeways. Our units are each 5'x7' and 7'3" tall - $99 per month each - as many as you need. Access your items by appointment. We are fully licensed by the California PUC as a moving company (Cal-T-191384). Most customers qualify for free pick-up. Contact us for details. 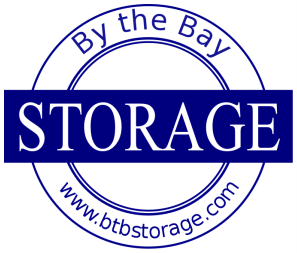 Why Store With By the Bay Storage? Your items are safer than any other public access storage facility: No one enters our facility without our knowledge and presence. All ground level access: no stairs or elevators.